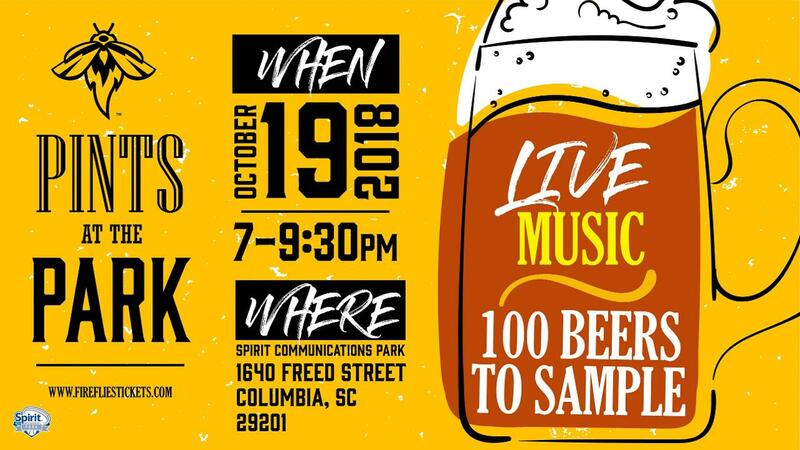 COLUMBIA, S.C. - Pints at the Park returns to Spirit Communications Park on Friday, October 19 from 7:00 to 9:30 p.m. A special "Early Entry VIP" option will allow attendees to enter the ballpark at 6:15 p.m. and sample before others. Tickets for Pints at the Park go on sale Monday, September 24. Tickets start at $40. The Early Entry VIP tickets are $50. Contact the Fireflies Ticket Office at (803) 726-4487 for more information.